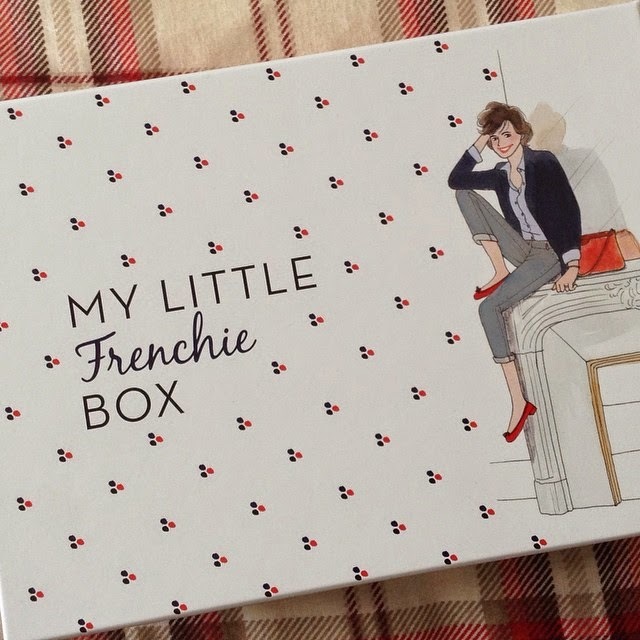 As soon as i received the email to say this month's My Little Box was on way, i couldn't wait to discover what goodies this chic little brand had in store for subscribers - sadly i wasn't in when Mr Postman arrived on Wednesday so had to wait to go and collect from the post office. 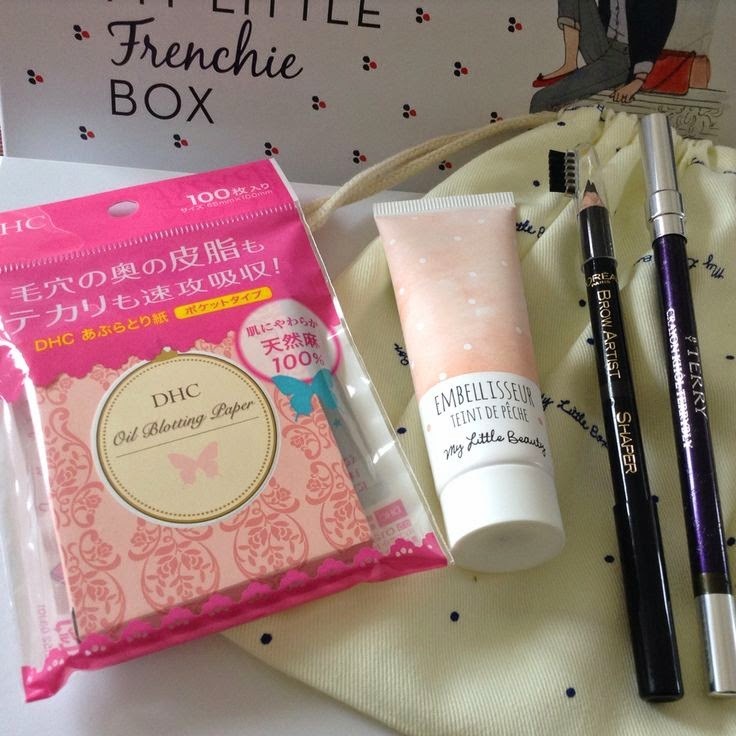 After the disaster that was January's box (fitness themed with a mix of very random beauty products) i was waiting to see if the February box could convince me not to hit that cancel subscription button and on first impressions i am back in love. I have loved every box since i started my subscription back in September but January's was a total miss for me and i think the only item in the box i was truly happy with was the little calendar - not good! 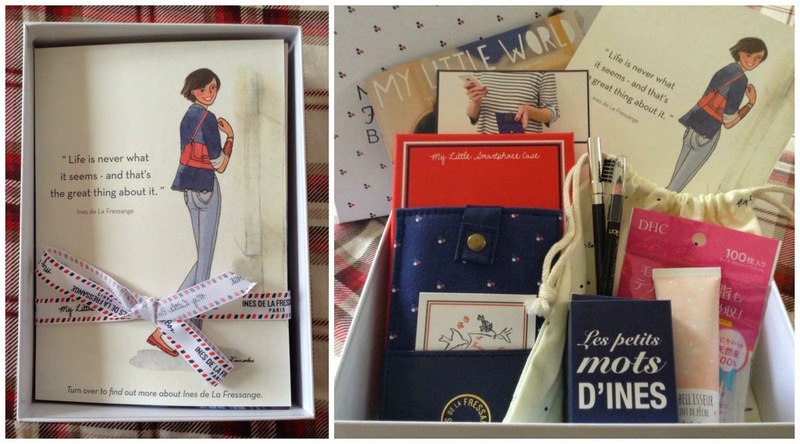 Anyway back to the Frenchie box.....a true Parisian box of chic. Presented in the normal way, with the contents wrapped up in a little ribbon - underneath a mixture of beautiful lifestyle and beauty products. DHC Blotting paper - in very cute little packaging (although not sure why it is in Chinese), although i don't normally have a need for this kind of product but a nice thing to have in my makeup box just in case. My Little Beauty complexion enhancer is a light face tint , that gives a glow to the complexion, a great consistency, very creamy and a light fragrance, will be using on my "light" makeup days. L'Oreal Super liner brow artist shaper - oddly i have been thinking about my eyebrows lately and wondering what to try and as if by magic MLB have provided me with a L'Oreal product that looks very natural on my brows and is easy to apply, handy too as it has the eyebrow pencil as well as fix/finish wax and a little brush. By Terry Terrybly Khol pencil - a gorgeous eyeliner, great alternative to my normal black, this one has flecks of bronze in which looks really pretty whilst still giving me definition. Glides on the eyelid smoothly and so far is a last all day product, perfect for my everyday look. 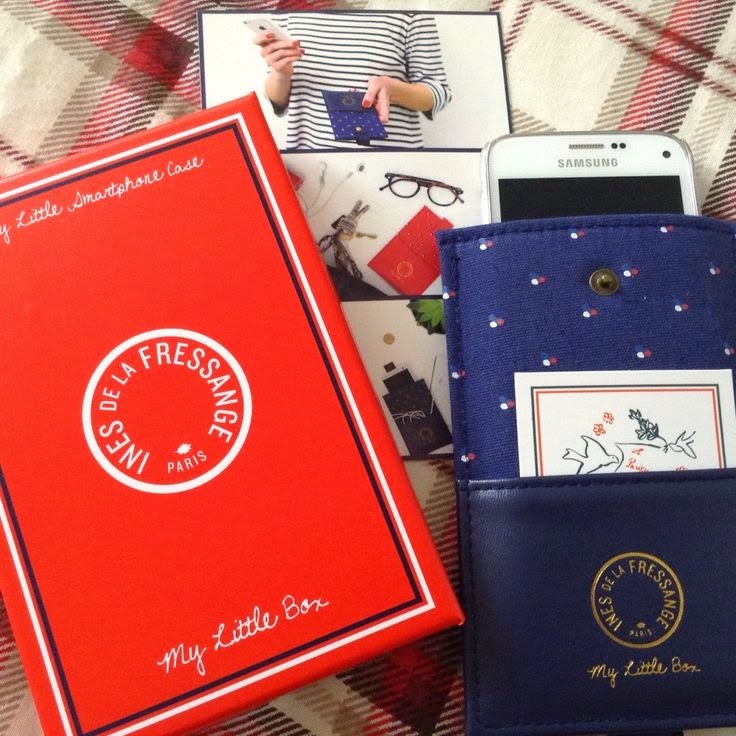 My favourite item in the box - a little blue smartphone case with red/white/blue spots on. I was worried about this item as i had seen a couple of reviews from other bloggers who said it was for an iPhone (which i do not have) however my Samsung Galaxy S5 mini fits perfectly. A nicely made and thought out item, perfect to keep my phone safe in the depths of my handbag, plus the little pocket on the front very handy for train tickets or even my headphones. 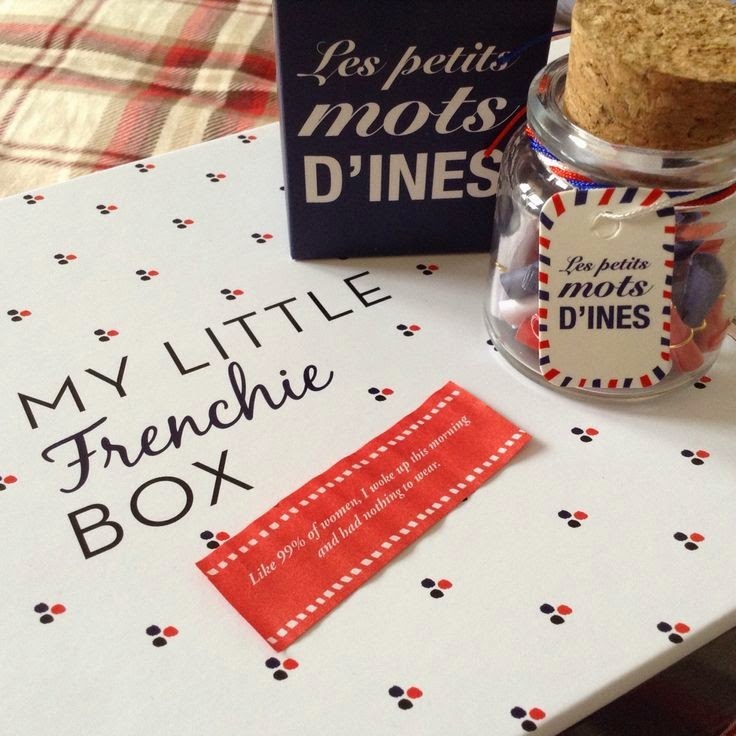 Finally the last item in Ines's box, a cute idea but not quite sure how i will use in my life - a mini jar of messages. The one i have unwrapped read "Like 99% of women, i woke up this morning and had nothing to wear". Like i said a cute item but all the other lifestyle items i have had in my boxes have had a purpose this just doesn't, but it will look pretty on my dressing table.